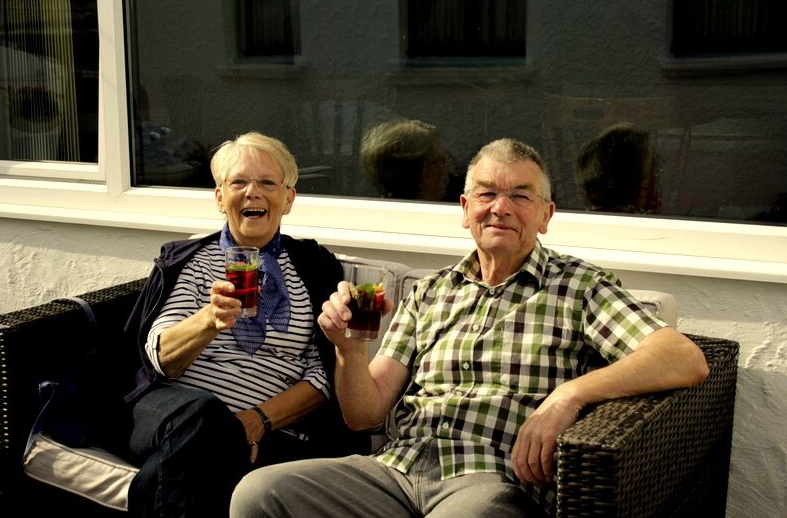 2015 certainly went out with a bang at Silver Bay, and our residents came together for a NYE party to remember! 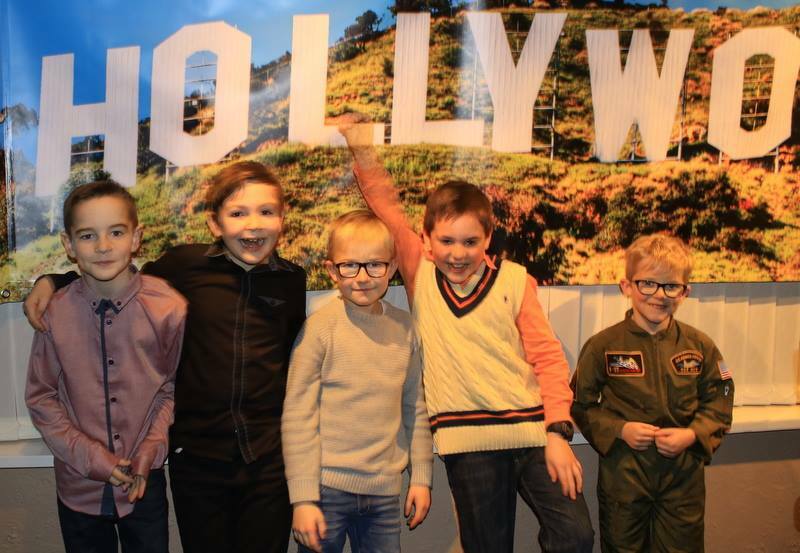 Alongside the Hollywood theme, guests had the option of dressing up (which we were glad to see some people did! ), and everyone enjoyed drinks, food and a party that attendees of all ages thoroughly enjoyed. Take a look at the video montage below. If you’re interested in becoming a Silver Bay resident and attending our parties be sure to give us a call on 01407 860 111. You can also explore our beautiful holiday lodges here. Christmas day is the event we spend most of December planning. Whether it’s organising presents or planning what we need to buy for the gorgeous Christmas roast, we often have little time to think about anything else. But what about New Year’s Eve? This magical party night certainly ensures that everyone leaves with a sense of optimism by the fresh start offered by the New Year. So with that in mind, we’ve put together and exciting list of everything you need to do to ensure you have the best New Year’s Eve ever in your luxury lodge here at Silver Bay – and also so that you can welcome 2016 with open, happy arms. Everyone loves donning their glad rags, and we’re no different here at Silver Bay. New Year’s Eve is a great chance to bring in 2016 looking and feeling your best, so invest in that extra special dress or suit and ensure you have a lovely night! Whether you’re planning on going to the annual Silver Bay New Year’s eve party, or perhaps have to stay back at the holiday lodge with very young children, a pre-party can be a great way to celebrate the New Year without having to stay up extra late. Invest in party poppers, put out a few nibbles and get the music flowing. New Year’s Eve can be celebrated before midnight if you’d like – it’s up to you! Every year we host our annual Silver Bay New Year’s Eve Party – and this year is no different! Come together with the other Silver Bay residents as we throw a party to remember once more. The best thing about our event is that we ensure the kids are also entertained. This frees you up to relax too, and ensures everyone in your party has an exciting New Year’s Eve. We certainly hope we’ll be seeing you there! When you’re all gathered around the table with drinks and nibbles in hand, it can be a great idea to come up with your own party games. Card games are something everyone can enjoy. Everything from Gin Rummy through to a simple game of snap are great games that will keep all the family entertained. If you don’t have any cards, then a simple piece of paper and pen can help create a great game of Who Am I? All you need to do is get everyone person in your group to write down a name of a famous person, and then pass this name to the person next to them. You have to then stick it on your head and guess who you are by taking it in turns asking yes and no questions. If you are drinking then it’s also worth making sure you get plenty of water in your system too! The last thing you want is to miss the New Year countdown because you fell asleep before it happened! Take it slow and and pace yourself to ensure you have the best evening possible. One of the best parts of New Year’s Eve is, of course, the final countdown to the New Year’s Day. Having all the family round is a key part of this because of course everyone shares hugs and wishes everyone the best. When the clock hits midnight, pop on Auld Lang Syne, hold hands and sing along together. It’s one of those extra special moments when you get to really show your loved ones how much you appreciate them, and the usually show it in return, so don’t miss out. We had an amazing New Year’s Eve at Silver Bay this year, and we have some wonderful images to match too! Everyone had a fantastic evening, and our Hollywood fancy dress theme was certainly a success! We can’t wait for the next Silver Bay party that will see our residents come together for a smashingly good time – and we hope to see you there too! 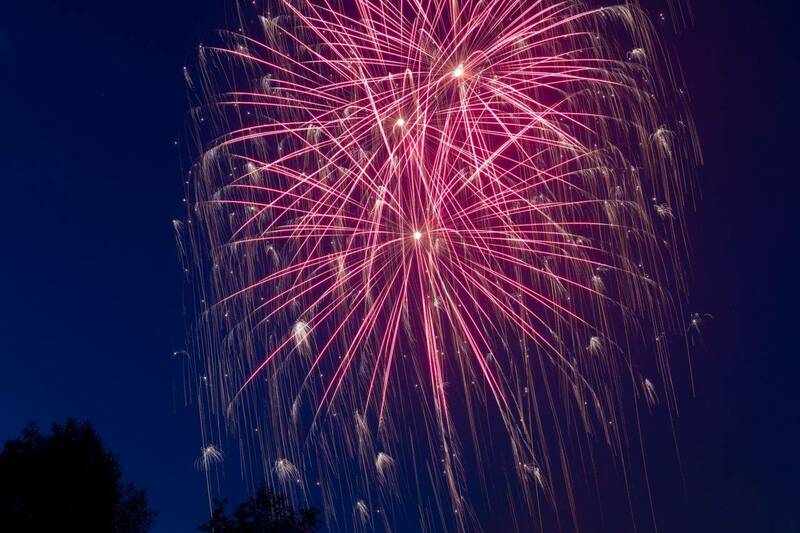 Investing in a UK holiday home can be a great way to start 2016 with a bang. Feel free to explore our bespoke lodges that are sure to impress, and give our friendly team a call if you have any questions or queries. You can catch us on 01407 860 111 or if you’d like to request a free e-brochure be sure to fill in your details here. Winter is quickly rolling in up and down the country, and one of the best places to visit during the colder months is Anglesey. There’s plenty of exciting events going on, festive and otherwise too, so we’re sure there’ll be something of interest for you if you choose to head to Anglesey this winter. 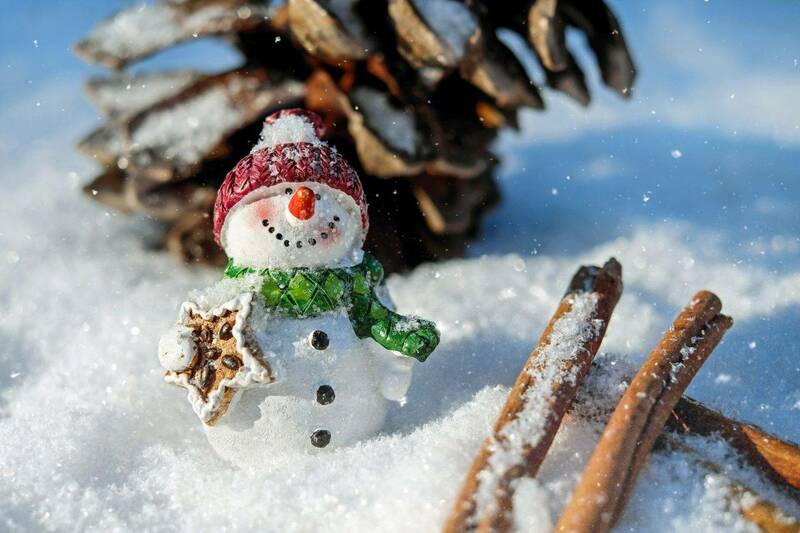 Take a look below for our top recommendations for a winter break to remember! Despite the cold weather, the Farmer’s Market that takes place throughout the year continues during the Christmas period. 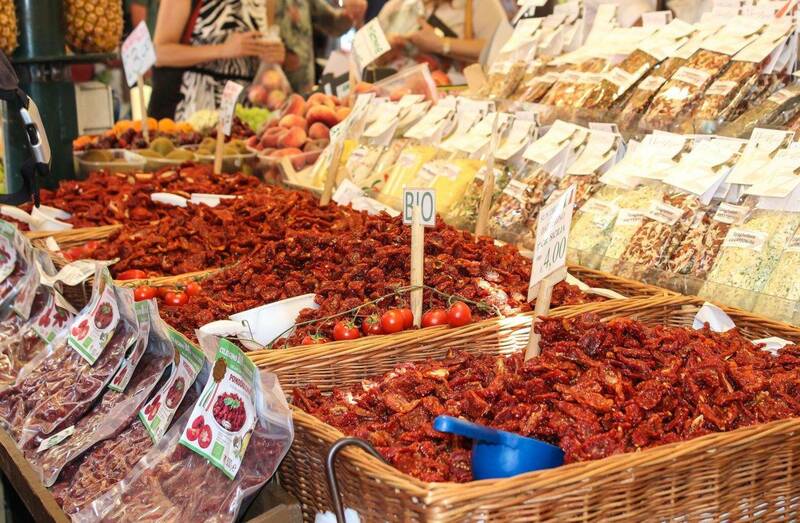 At the market you’ll find a range of fantastic local produce that are both fresh and tasty. So why not support local trade this Christmas? The market is hosted at Menai bridge and runs on the 3rd Saturday of every month. This continues right up until the 19th of December, so don’t miss out if you’re looking for a wonderful Anglesey market to visit. If you adore crafts and treasures, then you must visit the Winter Treasures Craft Fair in Anglesey this winter. The fair is running from the 14th of November until the 24th of December. Inside you’ll get access to some wonderful Welsh made items that make perfect souvenirs or presents. The fair is located at Oriel Ynys Mon, which is about a thirty minute drive from Silver Bay. It’s also open from 10:30am to 5pm every single day making it the perfect place to visit no matter what day it is. At the fair you’ll be able to purchase everything from gifts through to decorations, so make sure you visit for an extra special festive and fun time! If you’re hoping to escape the cold by venturing indoors then we highly recommend a visit to the Holyhead Maritime Museum. Home to the oldest lifeboat station in Wales, the Maritime Museum is a fantastic day out for people of all ages. If you’d like to find out more about the museum you can watch their short promotional video here. Yet we have to say, if you’re looking for a place to visit that’s both educational and entertaining, you won’t go wrong with the Holyhead Maritime Museum. We all tend to spend a lot during the festive period, so to make sure you get the right presents for your loved ones you simply must explore Anglesey’s shopping attractions. Here in Anglesey we like to focus on local trade, and if you decide to visit the likes of Beaumaris, Rhosneigr and Menai Bridge you’ll find a range of independent shops available. Each one will be brimming with unique gift ideas and extra special presents that could really make someone’s Christmas. For shopping with a difference and an escape from the high street stores, Anglesey is the perfect place this festive season. There are plenty of events and attractions going on during the winter in Anglesey, do you know of any that deserve a shout out? Send us a tweet to get involved with the conversation on Twitter. If you’re interested in purchasing a holiday home this Christmas from Silver Bay then get in touch today on 01407 860 111. You can also take a look at our holiday brochure here to see what we have available. On 22nd August 2015, Anglesey will play host to the annual Menai Seafood Festival – one of the biggest and best culinary celebrations in all of Britain. Set up to promote Anglesey’s local fishing industry, this festival has quickly become a Welsh favourite and succeeds in attracting thousands of visitors every single year. So if you’re planning on visiting our wonderful island this August, or staying at one of our luxury lodges at Silver Bay, here is all the information you need to know. If you are travelling with your family to the Menai Food Festival, then you’ll be pleased to hear this wonderful festival offers free entry to all visitors. Doors open at 10am and the event has teamed up with several Park & Ride schemes to make getting there as straightforward as possible. It’s also entirely free of charge. On Friday 21st August, however, something extra special is happening in conjunction with festival. Ensemble Cymru will be taking to the stage to play three works from Mozart, featuring the clarinet, oboe, and flute. The concert begins at 7.30pm and tickets are priced at £10 per person. Guests can also look forward to exclusive catering from Chateau Rhianfa and Ye Old Bull’s Head (Beaumaris). Anyone with a passion for seafood will fall head over heels for Menai’s famous food festival. From fresh oysters, to traditional fish and chips, there will be over 100 food stalls to tempt the senses. What’s better, visitors will have the chance to meet the local fisherman and farmers who supply Anglesey with all their wonderful local produce. Then you’re also in for a surprise. Benjamin Lee, our local chocolatier and patisserie, will be at hand with a beautiful selection of delicacies to put a smile on anyone’s face. You can also look forward to mouth-watering desserts from Antoniazzi’s Ice Cream and Mon Ar Lwy. You can see why it’s so popular. One of the best reasons to visit the Menai Seafood Festival, however, is its great selection of demonstrations. Hosted by esteemed chefs like Andrew Sheridan (Chateau Rhianfa), Michael Evans (Welsh Culinary Team), and Ellis Barrie (The Marram Grass), this will be the perfect opportunity to brush up on your culinary skills. You can even purchase all the products directly from the festival to practice at home. Anglesey is famous for its love of Rib Riding – as you can see from one of our recent blogs. So it would only make sense to offer some rib riding opportunities this year at Menai Strait. Whether you’re new to this adrenaline-pumping sport, or a seasoned expert, this is a must-experience activity. Especially if you love high speeds. In addition to Rib Riding, the festival will also be hosting a RibRide Duck Race to raise money for Macmillan Cancer Support. You can show your support by donating £2 at the Rib Ride exhibition stand. Marine Week is one of the most special dates in the Anglesey calendar. Hosted by organisations like Menai Heritage, Marine Conservation Society, and North Wales Wildlife Trust, this is one of the best ways to learn more about Anglesey’s unique seafaring past. This year, visitors to our beloved island can take part in a multitude of wonderful activities – such as crabbing, creature tanks, and a Sunset Rocky Shore Ramble. There will also be plenty of day trips leading up to the Menai Seafood Festival, all of which can be found on the event’s website. The Menai Seafood Festival is undoubtedly one of our favourite events throughout the year. Attracting visitors from far and wide, it’s the perfect chance to sample Wales’ best cuisine and dabble our hand at some outdoor activities. We might even bring back some treats to Silver Bay. Follow us on Twitter or say hello on Facebook to read more about the latest Anglesey news and events. Silver Bay Holiday Village are delighted to announce a summertime filled with activities and events to keep our ‘Silver Bayers’ entertained throughout the holiday season. 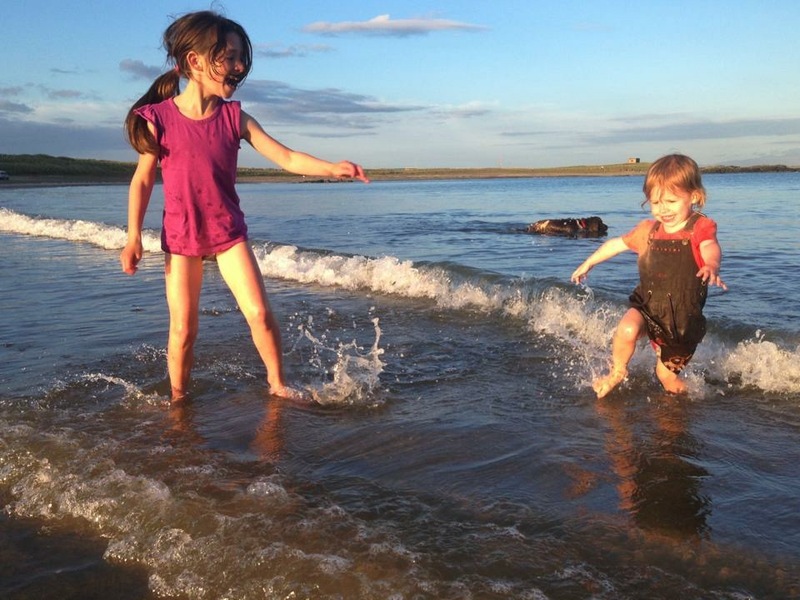 These timetables will provide you with the times and days for activities across all ages, from little ‘Busy Bayers’ to adult-only activities. If you would like to book your place for fitness sessions in the Silver Bay Leisure Complex, please call our spa team on 01407 862 049. Here’s to a fabulous summer! Silver Bay is pleased to announce that it has released its latest summer newsletter – just in time for the seasonal sunshine. Packed full of useful tips, hints, and inside knowledge, our newsletter is perfect for anyone looking to spend the warm summer days and relaxing evenings in Anglesey. So if you haven’t signed up to our newsletter just yet, then here is a sneak peak of everything it has to offer. Following the successful launch of our new development lodges, Headland Rise, Silver Bay can now announce that only two front row plots remain for purchase. Boasting stunning views, plenty of open space, and very attractive accommodation, it’s no surprise that this property has been flying off the shelf. If you don’t want to miss out on this exciting opportunity, then you can book a private viewing between 25th-26th July – but hurry. They are going quick! This summer, there will be a number of wonderful activities to inspire and entertain the family in Anglesey. July and August will – once again – prove to be our busiest months, so we have chosen this time to offer lots of events during the daytime and evening. So get your pen and diary at the ready. Saturday 25th July – Season Opening Party! You definitely don’t want to miss out! Summer was made for barbecues – so we thought we’d get stuck in and try something extraordinary at Silver Bay. On July 26th, Dai Davies – one of the top chefs in Britain – will be onsite to offer a fantastic demonstration of this barbecue technology. Offering lots of useful hints and tips, we expect this to be an incredibly valuable and entertaining occasion. We’ll even supply a few nibbles along the way too. 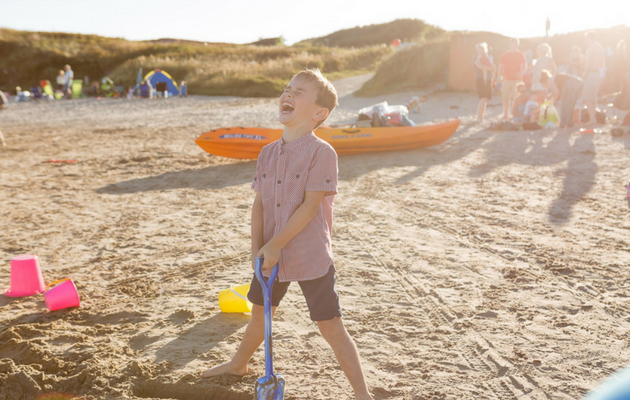 This summer, we expect Silver Bay to open its arms and offer a wonderful selection of family activities and events to keep everyone happy. We are also very excited about the popularity of our latest development, Headland Rise – which promises to revolutionise holidaying in Anglesey forever. So where are you going to be this summer? If you fancy signing up to our newsletter, then enter your details on the Silver Bay website and we’ll send you monthly updates. Easter On Anglesey! Have You Planned Your Activities Yet? As many of our luxury home residents will be joining us over the Easter holidays we’re sure those with children will be participating in some of our own Silver Bay kids’ events around the Easter weekend; however there is still a wide variety of exciting, child-friendly Easter activities all over the island of Anglesey to enjoy! Many of Anglesey’s attractions will be hosting egg hunts, such as the National Trust’s Plas Newydd. 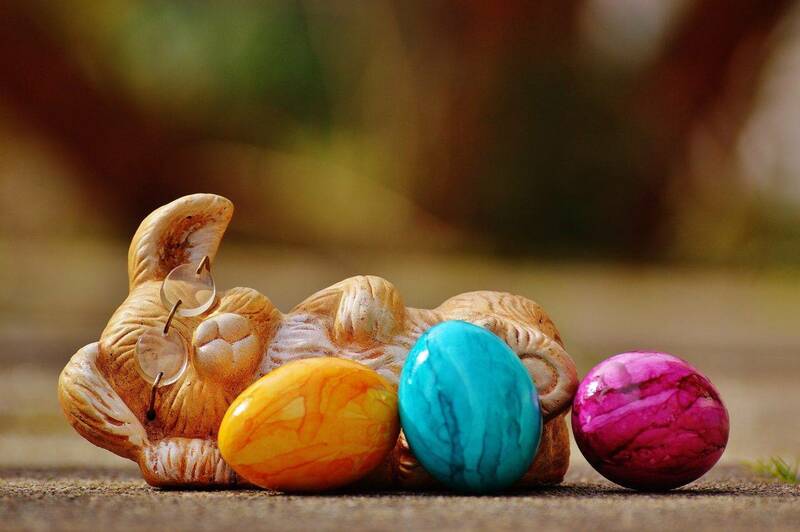 Children can participate in their annual egg hunt for £2 from the 3rd – 6th April between 11am and 3.30pm, and adults can enjoy the beautiful mansion and extensive gardens set on the shores of the Menai Strait. With options for a woodland and marine walk to explore, in addition to an adventure playground and tree house for the kids, Plas Newydd will keep everyone entertained on an Easter day out. Garden only tickets are £8.10 for adults and £4.10 for children over 5. For children who are farm, butterfly or bug enthusiasts, Pili Palas Nature World near the Menai bridge is the place to be. Egg hunts will be taking place daily in in the weeks before and after Easter, between 10am and 5.30pm with prizes for lucky winners. There are also daily bush tucker trials and animal handling activities between 11am and 4pm, making this an ideal fun-filled day for children with an interest in wildlife. Adult entry is £7.95 and £7.25 for children aged 3-16. Young wannabe farmers won’t want to miss out on Foel Farm park, where the whole family can experience a real working farm, with lots of opportunities for interaction with the animals in addition to tractor and trailer rides. For those who just can’t get enough of the Easter chocolate, Foel Farm even has a chocolate workshop for everyone to watch chocolates being made. Their annual Easter egg hunt takes place this year on the 5th April at 1pm; the likely presence of lambs and other baby animals will complete the Easter theme! Entry is £6.95 for adults and £5.95 for children aged 3+. Those with an interest in history and medieval castles will want to get in on the activities at Beaumaris Castle, where the medieval household are winding back the clock to the times of Edward I from 3rd – 6th April. There is another Easter egg hunt taking place in the castle, 11am – 4pm on the 5th April; so if you fancy a day stepping back in time, with stunning views of Snowdonia and the Menai Straits, this is the castle for you. The egg trails on Easter Sunday are £5.25 for adults and £3.90 for under 16’s, and the medieval days are £4.50 for adults and £3.40 for under 16’s. The beautiful town of Rhosneigr is only a 25 minute drive from Silver bay, home to The Oyster Catcher. This is a beautiful restaurant situated with an unobstructed view of the Irish sea, that is also hosting its very own Easter egg hunt which will be £1 starting 10.15am on 5th April; there will also be a best bonnet competition for kids to show off creative flair and optional fancy dress! 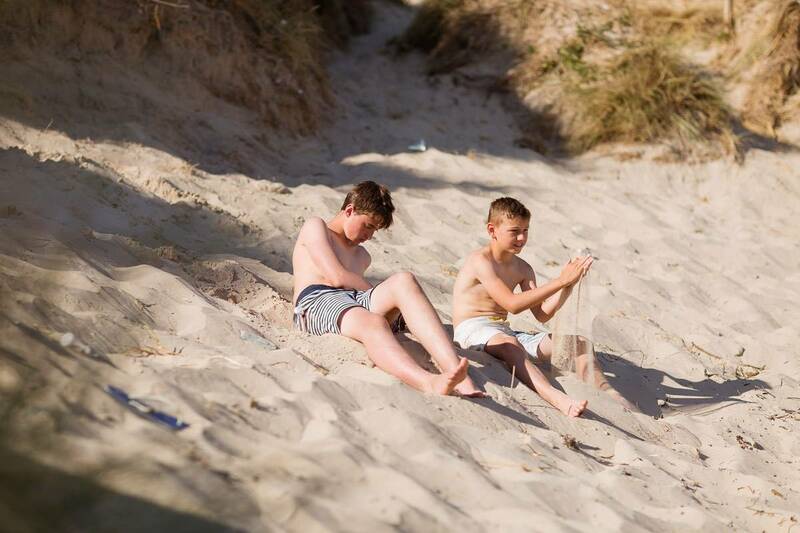 So while the children are running around enjoying the trail, adults can sit down for a drink in one of the beach shacks overlooking the sea or experience a meal prepared by the cadets in the chef’s academy – a delicious feast guaranteed! With the weather looking like rain will be holding off from the Rhoscolyn area during the Easter period, fingers crossed for some sun so everyone can take in some of the spring fresh air! However you choose to spend your Easter break, we wish you a happy Easter from all of us at Silver Bay!